Aim to Produce High Quality Works Develop Optimum Sale & Services Develop Optimum Staff Cost Consciousness. Christiani & Nielsen has had a long history since Rudolf Christiani, a young Danish civil engineer, and Aage Nielsen, a Captain in the Royal Danish Navy, established the company in Copenhagen in 1904 to build bridges, marine works and other reinforced concrete structures. In less than five years, Christiani & Nielsen established a branch in Hamburg, Germany and, after World War I, further extended its operations across the United Kingdom, South America, Australia and Africa. 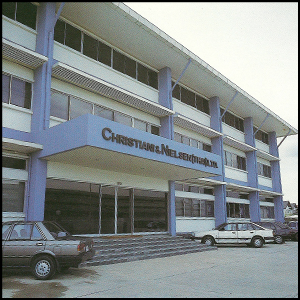 Christiani & Nielsen (Siam) Ltd. was established in Thailand on 28th February 1930 with Shareholders Christiani & Nielsen A/S, The Privy Purse (Crown Property Bureau) and The East Asiatic Company Limited. Since then, the company has been responsible for a number of landmark projects including the Democracy Monument, Klong Toey Port, Krungthep, Krungthon and Nonathburi bridges spanning the Chao Phraya River in Bangkok, the Rajdamnern Boxing Stadium, the Sukhothai Hotel in Bangkok, the luxury Baan Taling Ngam Resort Hotel on Koh Samui and the Asian Games Sports Stadium. The Thai company was listed on the Stock Exchange of Thailand in early 1991 and in November 1992 changed its name to Christiani & Nielsen (Thai) Public Company Limited. In order to further strengthen operations worldwide, Christiani & Nielsen (Thai) PCL in December 1992 completed a reverse takeover of its publicly listed Danish parent company – the first such transaction in Thai history. Expansion into Malaysia, Vietnam and China, together with investment in engineering and property related businesses, followed soon thereafter. Largely as a result of the Asian financial crisis in 1997, the company has needed to undertake extensive restructuring of the business. After restructuring, including the disposal of subsidiaries and other investments, the company will focus on its core construction business in Thailand. 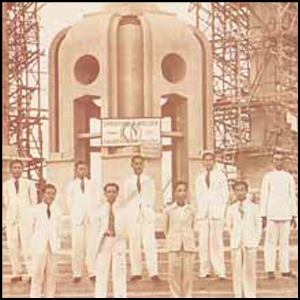 In the early part of the last century, Christiani & Nielsen was recognised internationally for its development and utilisation of reinforced concrete as a new technology. During its long history Christiani & Nielsen became known as a world leader in innovative design and construction techniques. These include the technique of wharf construction for Klong Toey port, which has become known by engineers worldwide as the “C & N Wharf” and the design and construction of the world’s first immersed tube tunnel in 1937. More recently, the latest construction techniques were used by the company for slip-forming the largest feed silos in Thailand and pipe-jacking beneath roads and klongs for the Bangkok Metropolitan Administration (BMA) Wastewater Project. During the past 87 years, the Company has constructed almost 2,000 projects in Thailand and internationally handed to both Government and Private Sectors. Today, we are a leading construction company in Thailand providing a wide range of services including design and construction of building and civil engineering projects, design, fabrication and erection of steel structures and mechanical and electrical installations.